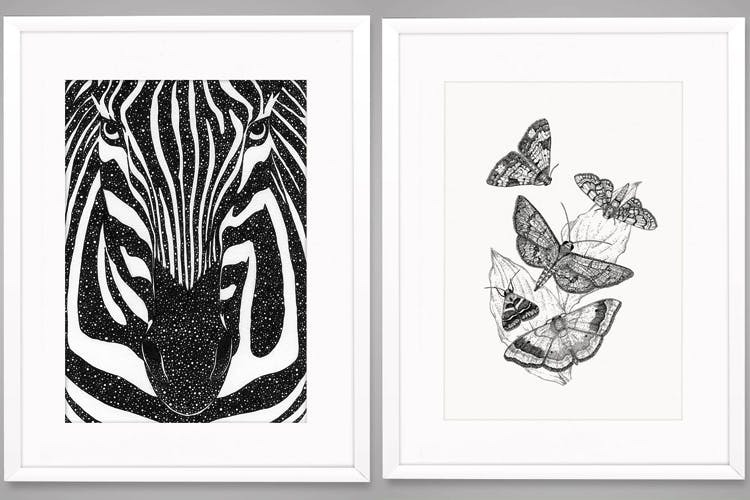 Detailing in art gets redefined with Airphish – an illustrations-based brand that sells art prints, dinnerware and more. A brainchild of Smriti Choudhary, an NID graduate, Airphish is all about the detail. Intricately drawn illustrations that have the potential to take your breath away, Airphish lays emphasis on nature and we are no doubt, in love. Inspired by nature, you’ll see illustrations with sparrows, bears, elephants and our spirit animal – wolves. Cushion covers with minimal designs, dinnerware with tree branches that imitates the magic of nature, they’re perfect for those running away from clutter, specially when it comes to design. The art prints start at INR 3,500, dinnerware starts at INR 900 and cushions come for INR 2,100 for a set of two. She also has a yearly art calendar that you might want to check out. Airphish as a brand will appeal to true admirers of beautiful art. We’re sold already, you decide if it floats your boat. You can visit the website for more information.